There are plenty of medical providers that you can consider after an auto accident. Some medical professionals are quick to offer pain medication as a primary treatment option after a car injury takes place. While pain medication isn’t a bad thing if properly utilized, it doesn’t truly address any of the bodily injuries that you are dealing with. At Advanced Medical of Twin Cities, we take a different approach when it comes to your car injury treatment plan. Our medical experts focus on holistic, all-natural medical treatment options to help your body heal naturally. Our effective car injury treatment plans are customized to fit your particular needs. Whether you’re dealing with whiplash, ongoing headaches, muscle spasms, inflammation, a pinched nerve, etc., we will create a unique car injury treatment plan specific to you that is focused around chiropractic care, massage therapy and acupuncture. Another issue that our medical professionals at Advanced Medical of Twin Cities regularly see in regards to car injuries is the fact that many individuals totally ignore the minor injuries that occur. The issue with this is that these minor injuries often turn into larger injuries down the road if they are not properly addressed. Especially with conditions such as whiplash, your symptoms may not even be present until a few days after the car accident. 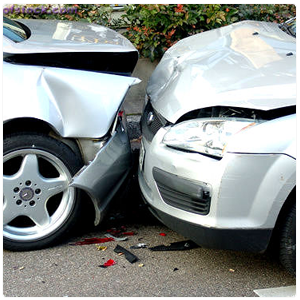 So, don’t ignore the minor injuries that occur with a car accident. Seek a medical evaluation from our committed team at Advanced Medical of Twin Cities. If you unexpectedly have been involved in a car accident recently, don’t underestimate the importance of getting evaluated by a medical professional. Since we specialize in car injury treatment in Golden Valley, MN, you can pick up the phone and set up an appointment with our medical professionals at Advanced Medical of Twin Cities. To request a one on one consultation with our holistic team, contact us today at (763) 541-1280.